For the past 33 years I have gotten ready to return to school for a fresh new year either as a student, teacher or administrator. This is the first year since I turned 5 that I will not be returning to school. This year, I will be staying home with my son, finishing up another master’s degree and launching this blog. I must say it has been hard not stockpiling supplies at all the back to school sales. I mean who can pass up a 24 count box of Crayolas for 25 cents and 5 cent pocket folders. I wonder if they still sell Trapper Keepers. Now, if you are a parent, I highly recommend stocking up on these great sales. 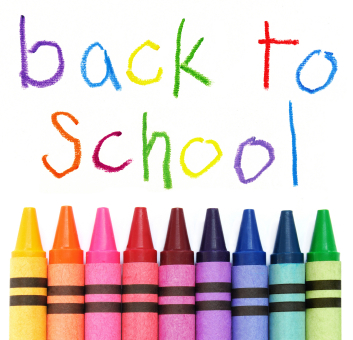 I guarantee you that your child will need fresh supplies after the winter holidays. Save yourself some money and buy extra supplies now. I have two friends who will be sending their daughters off to kindergarten this year. Beginning a new school year especially kindergarten can be filled with excitement and anxiety for both child and parent. I wonder who has the most sleepless night before the school year begins- child, parent or teacher. The Kissing Hand by Audrey Penn is a beautiful story to share with a child or parent who has some anxiety about starting something new. Chester the raccoon is preparing for his first day of school and is a bit nervous about the new adventure. Mrs. Raccoon shares the Kissing Hand secret with him. She kisses the palm of his hand and tells him that now wherever he goes that he will always have her love with him. As Chester gets ready for school, he reaches for his mother’s hand and places a kiss in her palm giving her the Kissing Hand also. Share this book with any child or parent who is nervous about starting something new. Do you have a special book, meal or tradition that you use to ring in the new school year? I’d love to hear your ideas. It sounds like a great book for child and parent to read together.